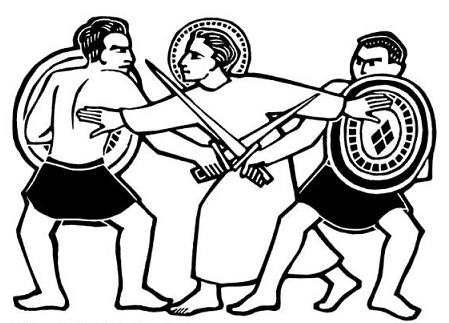 "The New Evangelization calls on every baptized person to be a peacemaker." Catechism of the Catholic Church: "You Shall Lover Your Neighbor as Yourself"
Compendium of the Social Doctrine of the Church: "The Promotion of Peace"
The Department of Justice, Peace & Human Development (JPHD) promotes awareness of Catholic social teaching and opportunities to live the Baptismal call to love God and neighbor. Welcome to this CRRA subject guide on Peacebuilding, one of the twelve CRRA Catholic Portal collecting themes. This theme relates to Catholic individuals and organizations involved in conflict prevention and reconciliation to build a sustainable peace. This guide will connect the user of the CRRA website to materials in the Catholic Portal, to electronic collections and other resources at CRRA institutions, and to important relevant Church documents.